In a never before initiative by the Film Critics Guild and Motion Content Group, Critics Choice Film Awards acknowledges and appreciates the best cinematic experiences across the nation as the awards felicitate the filmmaking of not just the Bollywood films but also makes a pan-India appeal. 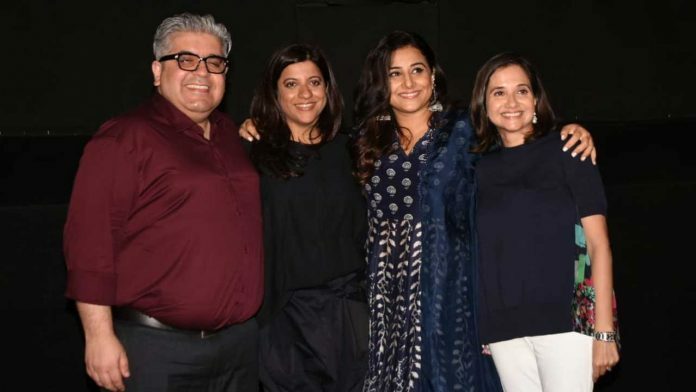 At an event in Mumbai on the 9th of April, Zoya Akhtar and Vidya Balan along with the members of the Film Critics Guild and the representatives of Motion Content Group announced the nominations of the Critics Choice Awards. Apart from uplifting the best cinemas in Hindi, the awards also honour the brilliance of filmmaking in eight languages like Marathi, Gujarati, Tamil, Kannada, Malayalam, Bengali, and Telugu. The Film Critics Guild and Motion Content Group have joined hands once again to present the first-ever Critics Choice Film Awards, a pan-India awards body, which is the only title after the prestigious National Film awards to award filmmaking in eight major languages, the ceremony of Critics Choice Film Awards will take place on 21st April.